Health Care Insights - From Policy to Practice: Are you ready for the D.U.A.L.S. Forum? 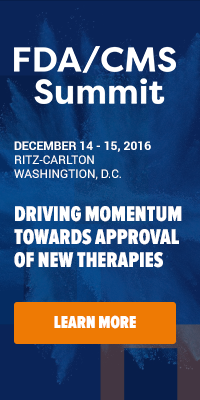 Oncology Management – Are you attending? Are you ready for the D.U.A.L.S. Forum? Join us this week, April 4-5 at the Marriott Inner Harbor at Camden Yards to hear all of the necessary strategies and tactics to increase care coordination and decrease costs.As your partner in dissecting and understanding healthcare and all that it encompasses, we are pleased to provide you with a forum to learn industry insights from health plans making waves in the dual eligibles space. • DEFINE opportunities, including financial incentives, created by serving dual eligibles. • UNDERSTAND duals' needs in order to determine how you would have to extend your network and change your benefits to best address their needs. • ALIGN programming by partnering with (or purchasing) a health plan that compliments your plan. • LEVERAGE existing resources to reduce administrative costs. • SUCCEED in providing quality, cost efficient care to dual eligibles. To find out more about the 2013 program, download the agenda. Onsite registration will be open both days of the event. If you have any questions about the agenda or event, please contact Kate Devery at kdevery@iirusa.com or visit our webpage.